Beverly Truzzolino BRE 01482676 is a sales associate with Aspero Realty and brings over 10 years experience in real estate to Aspero. Beverly has an established reputation for integrity through her consistent, dedicated service to the home sellers and buyers whom she represents. Commitment, follow-through and knowledge of the current residential real estate markets in Orange County has earned Beverly a loyal client base that continues to grow through referrals. Recognized as one of Aspero’s 2013 Top Producer charter members, Beverly continues to consistently deliver exceptional results. Beverly holds ABR, CNE and SFR certifications and received a Bachelor of Arts degree in Sociology from California State University Fullerton. Candice Doyle BRE 01855419 Candice focuses on delivering impeccable service and excellent market knowledge. Whether buying, selling, or leasing Candice will attentively handle any real estate transaction. Her professionalism is marked by the ability to diligently explain essential market concepts, making your real estate needs stress-free by acting in a knowledgeable and timely manner. A Southern California native, Candice was educated at University of California Berkley, where she developed her essential skillset of global and local marketing strategies to help maximize home value. Candice’s dedicated nature ensures that her clients’ needs are at the forefront of every transaction, and her negotiation expertise affords clients a clear edge to accomplish their goals. Her impeccable customer service skills help Candice go above and beyond to ensure that her clients are completely satisfied. Catherine Ferrell BRE 01336275 is a sales associate with Aspero Realty and has a twelve year history in real estate, as a top producer at Prudential California Realty. In addition, Catherine spent five years as a real estate coach for the Mike Ferry Organization. Catherine leverages her business background, as a project manager and vice president, with her expertise in real estate to produce exceptional results for her clients. Managing every transaction with the highest standards of ethics and professionalism, Catherine is recognized as one of Aspero’s 2013 Top Producer charter members. Catherine is a certified relocation specialist and holds a Bachelor’s degree in Business Administration from The University of Texas at Austin. Cecilia Mehrassa BRE 01813053 is a sales associate with Aspero Realty and has been an active member of the real estate industry for over ten years. She brings a great deal of experience to Aspero’s very successful real estate team. She is extremely detail oriented, meticulous and a strong advocate for her clients by recognizing and anticipating their needs. A true sales professional, with a background in technical and intangible sales and customer service, Cecilia is bilingual in Spanish and English. She appreciates and understands the importance of raising a family in a safe neighborhood with exceptional schools. Cecilia is a H.A.F.A. certified short sale specialist and understands the emotional and financial complexities of short sale transactions. 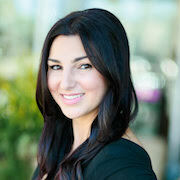 She has been a member of one of the most successful sales teams in Irvine for over 5 years. Danilu Coskey BRE 01902494 Danilu brings more that 25 years of marketing, sales, and client coordination experience to Aspero. Energetic and strategic by nature, Danilu utilizes her innate interpersonal and organizational skills to assist clients through the decision process of buying or selling their homes. In addition to her attention to detail, Danilu’s background in design and general contracting brings added value to her clients. Prior to joining Aspero, Danilu teamed with a top producing team at Prudential California Realty. Dino Sahrai is an MBA educated sales associate at Aspero Realty. 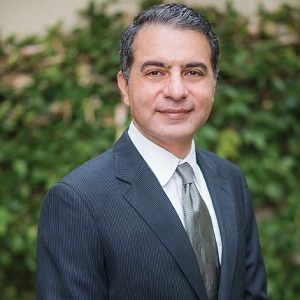 Dino is bilingual in English and Farsi, having spent most of his professional career as a banker, auditor, sales and licensed real estate professional. The financial sector skill set compliments his strong understanding of federal, state, and local real estate related regulations and consumer protection laws. Dino directly works with staff and clients as necessary to resolve any residential real estate and loan related issues. Dino Sahrai offers his clients exceptional up to date marketing & transaction services, guiding them step by step through their real estate transactions. Jennifer Sambito BRE 01328628 is a sales associate with Aspero Realty and holds both, a California real estate broker’s license and a law degree. With over a decade of experience as a real estate professional, and nineteen years as a Licensed California Attorney at Law, Jennifer is also a Law Professor for the nation’s leading bar exam preparatory course. Jennifer was recognized four consecutive years as an award winning producer at Prudential California Realty. In addition to her real estate and law practice, Jennifer owns a publishing company and has authored a children’s book. Jennifer holds a Bachelor of Science degree in Business Administration/Real Estate Finance from San Diego State University and a Juris Doctor from Thomas Jefferson School of Law, San Diego. 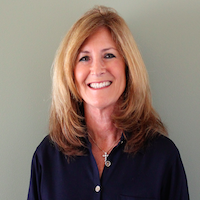 Joanne Barron BRE 01443688 is a sales associate at Aspero Realty. Joanne spent the first decade of her career as an accountant and property manager for well-known Southern California residential and commercial real estate development firms. Partnering with a top producing residential sales team in South Orange County, between 2004 and 2012, Joanne’s real estate license was held by Prudential California Realty. Joanne possesses a multidisciplinary set of skills, which enables her to guide clients through the intricate details of both real estate and financial matters. Joanne holds a Bachelor of Arts degree from the University of California San Diego. 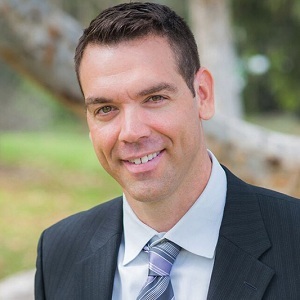 John Barron BRE 01981379 is a sales associate at Aspero Realty, and joins Aspero after two decades in the construction project-management field. John brings a strong real estate contract negotiation background with him. Utilizing his extensive knowledge of customer service and marketing from his years with brands such as Nordstrom, Marriott, Panera and PetCo, John provides valuable tools to serve his clientele. John holds a Bachelor of Arts degree in Business Administration and is a licensed California General Contractor. John Hughes is a sales associate with Aspero Realty. 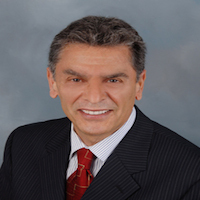 He has an extensive background working in the Southern California real estate market. A Southern California native, John served in the United States Air Force as a Missile Systems Analyst and Co-Founded Hughes Electric Inc, providing custom electrical services for homes in Newport and Laguna Beach. An expert in all aspects of real estate, John also founded Cal-West Appraisals in Irvine, CA where he performed over 7,000 appraisals specializing in complex properties throughout Southern California. John focuses his expertise and market knowledge in consistently protecting his clients, whether they are buying or selling their property. 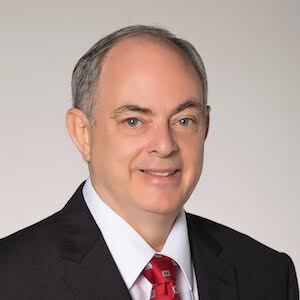 John Hughes currently specializes in the prestigious Irvine community of Altair, located in Great Park. Judy Qualls BRE 01877067 is a sales associate with Aspero Realty. Leveraging her extensive background in business and finance with years of hands-on expertise in home renovation and interior design, Judy provides her clients a unique toolset to achieve maximum results. Judy, a Certified Negotiations Expert, is a longtime resident of South Orange County and specializes in the local beach and inland communities. With strong customer service standards, Judy focuses on building lasting relationships with her real estate clientele. Prior to joining Aspero, Judy was a sales associate at Prudential California Realty. Judy is passionate about her support of several community-based charitable organizations. Laurie Singer-Peterson BRE 01186751 is Aspero Realty’s Designated Broker. Laurie brings twenty years experience, across a wide variety of real estate management roles, to Aspero. Laurie’s background includes sales, sales management, new agent training, contract compliance and all aspects of residential property management. Prior to joining Aspero, Laurie represented national brands including RE/MAX, Prudential California Realty and Keller Williams. As a Quality Service Certified Real Estate Professional, Laurie believes in providing her clients with consistent, reliable, responsive and accountable service. Laurie holds a Bachelor of Science in Hotel Management from the University of Nevada Las Vegas and is E-Pro and Corporate Relocation certified. 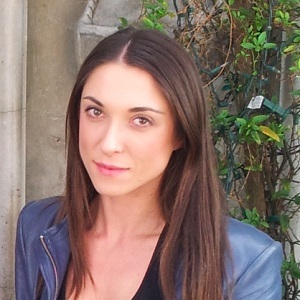 Mila Gubin BRE02054112 Joining Aspero Realty Mila brings a multidisciplinary and multilingual set of skills ranging from online consulting to curating lifestyle branding. In addition to English she is fluent in three languages Russian, Ukranian, and French. A University of California Irvine graduate, Mila has spent her career in Moscow, Los Angeles, and Orange County managing social media platforms for some of the most distinguished companies in selective fields of marketing. Neema Novini BRE 01956229 is a sales associate with Aspero Realty and over the past several years became involved in property investments, ultimately acquiring his California real estate license. 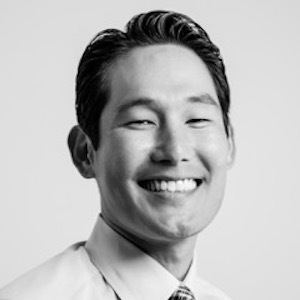 Prior to joining Aspero, Neema spent nearly a decade of his career in international sales. In addition, Neema pursued his life-long dream of working in the entertainment industry by obtaining multiple advance credentials at Moviola Digital Art Institute in Hollywood, California. Neema worked with organizations such as Post Depot and International DSM Group Inc. As a line producer, Neema was involved in both micro and macro management of many productions and has extensive experience in budgeting, scheduling and overseeing many aspects of film and TV production. Clients included Universal Studios, Castle Rock Entertainment, Urban Legend Entertainment, Larry Levinson Productions, just to name a few. Neema’s business and creative background translate well to real estate service. Developing strong customer relations, delivering excellent results and matching customers with the right solutions for their needs continues to be Neema’s business mission. 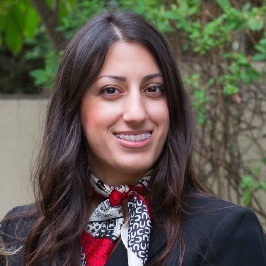 Sarah Masri BRE 01936337 With a proven track record of a top-performing Agent, Sarah goes above and beyond with helping new agents in all aspects of real estate. Her priority is to guide new agents into smooth and efficient real estate transactions, with the most up to date resources. Having lived in Lebanon, Sarah speaks fluent Arabic and guides all Aspero agents on how to market their homes globally with premier real estate companies in over 50 countries. Through her many years of experience, Sarah’s exceptional punctuality makes her available to all new agents for constant assistance in their sales. Sarah’s mission is to expand and develop extraordinary talent at Aspero, by using the most up to date marketing strategies. Tina Wu BRE 01946837 is a sales associate with Aspero Realty, and joins the team with an extensive background in customer service, sales and consulting. 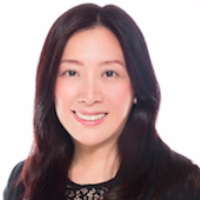 Tina is fluent in English, Mandarin Chinese, Hunanese and Wenzhounese, which is a great asset when assisting her multi-cultural clients in the city of Irvine and broader Orange County area. Tina holds a BA in Economics from the University of Washington. Zak Doan BRE 01889429 is broker associate at Aspero Realty. 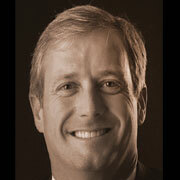 Zak has a successful record in guiding local and multi-national clients in their residential real estate transactions. Originally from Chicago, Zak attended Austin Peay University on a baseball scholarship and graduated with a degree in Business Finance. Always a team player, Zak played professional baseball for the Florida Marlins and since then has moved to California where he has resided for 14 years. To ensure efficient, complete service for you, Zak offers a higher level of knowledge in every aspect of your home purchase or sale. 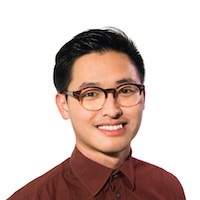 Zhuo Zhao BRE 01997465 is a sales associate with Aspero Realty, and joins the team with a background in business consulting, sales and marketing. Zhuo is fluent in English, Mandarin Chinese, which will be very helpful when supporting multi-national customers. 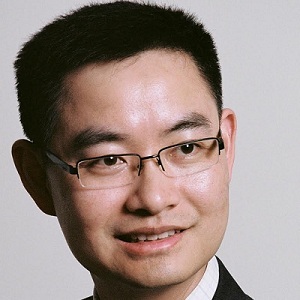 Zhuo holds a Ph.D in Electrical Engineering from University of California, Riverside and a MBA from University of California, Los Angeles. Aspero Headquarters is conveniently located near the Irvine Spectrum. Contact us for a private tour of our state of the art facility.